Hempstead New York, October 5, 2018. U.S. 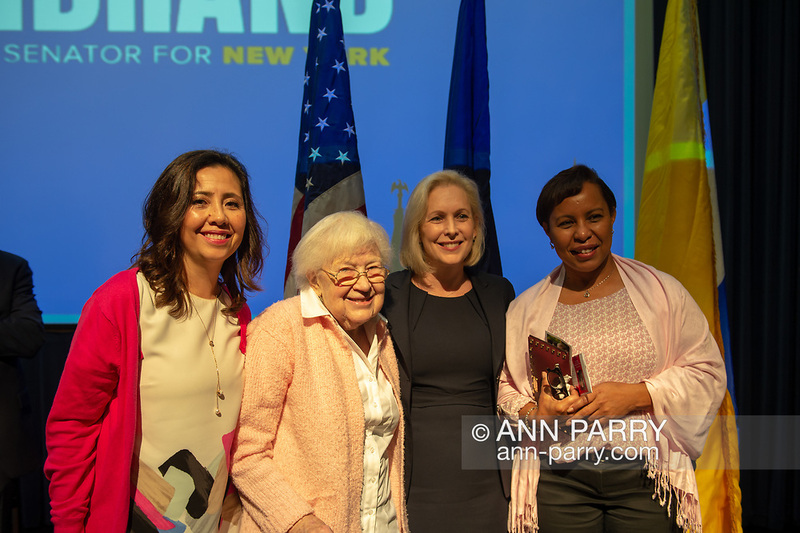 Senator KIRSTEN GILLIBRAND (D-NY), wearing black dress, poses with, L-R, MARIA TERESA ROMERO, ELSA FORD, and MILLIE MOTA, members of Brentwood Bay Shore Breast Cancer Coalition, at end of Gillibrand's Town Hall Meeting at Hofstra University on Long Island. Democratic Sen. Gillibrand;s up for re-election in midterm elections.